There are several solutions employers can consider to support their employees who are struggling with child care. These struggles range from the cost of child care, to the availability of child care, to the quality of child care. Solutions range from low-cost and easy to high-cost bricks and mortar. There is not a cookie-cutter answer but a menu of options from which to choose. If your employee needs child care, the first line of defense in Vermont is to have them call their local Child Care Resource and Referral Agency. In Windham County this is the Winston Prouty Center. This is a free service which can help families learn about programs for birth through school-age care, as well as connect income-eligible families with financial assistance. However, learning about existing programs does not guarantee that there will be slots available in those programs. Encouraging employees to plan ahead and get on waiting lists is helpful. Sometimes child care challenges arise with unplanned events like a sick child or a snow day. Employers can offer sick time and allow families to use it to care for their children. Other types of flexible work arrangements can be used to cover emergencies or other unexpected events. Perhaps an employee can work at home or bring their child to work. 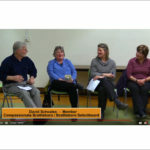 Helping employees connect with one another to help each other with shared caregiving is another option that does not need to have a heavy impact on the employer but can be helpful for combatting absenteeism and lost productivity. One solution is for employers to consider offering on-site child care to employees in order to attract and retain this desirable demographic. In most cases, this is not an easy or viable option. Child care is not a core business function or mission of most employers, and it is not a business that is particularly attractive as a revenue generator. 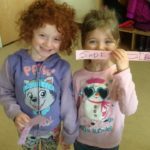 There are possibilities to explore in partnership with those whose business it is to provide child care. Ideas include contracting with a child care provider for a certain number of slots for employees and offering a fee to hold those slots if they are vacant. If enough employees have children, it might make sense to support a child care provider to open a space that is available for emergency or drop in care. 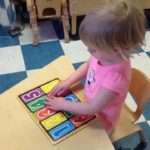 There might be possibilities for collaborating with other employers and child care providers to bring together a critical mass making it more economically feasible to explore these options. One variable that can feel insurmountable to families who are seeking care so that they are available to work is the cost of tuition. 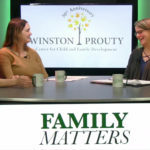 Some families will be eligible for financial assistance through the state and federal government, and this is front line resource that can be explored through at the Winston Prouty Center. The state of Vermont also offers 10 hours of preschool subsidy for children age 3-to 5-years. Therefore, finding a child care provider who is qualified to participate in this can also help make care affordable. Other options for employers to support employees include offering benefits such as a flexible spending account which allows pre-tax wages to be used for child care costs, or direct scholarships or vouchers for child care. A holistic benefits package that is individualized based on need is an excellent strategy for attracting and retaining a wide variety of employees, including families with young children. Creative solutions will be required as we grapple with the complex variables that make economic development so challenging. One thing we know for sure — employers cannot afford to ignore the piece of the puzzle that includes child care. 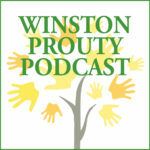 Chloe Learey is the executive director of Winston Prouty Center for Child and Family Development in Brattleboro. She serves on the Building Bright Futures State Advisory Council, a governor-appointed body that advises the Administration and Legislature on early childhood care, health and education systems. The Brattleboro Area Chamber of Commerce recently named her Entrepreneur of the Year. Chloe can be reached at chloe@winstonprouty.org. The opinions expressed by columnists do not necessarily reflect the views of the Brattleboro Reformer.